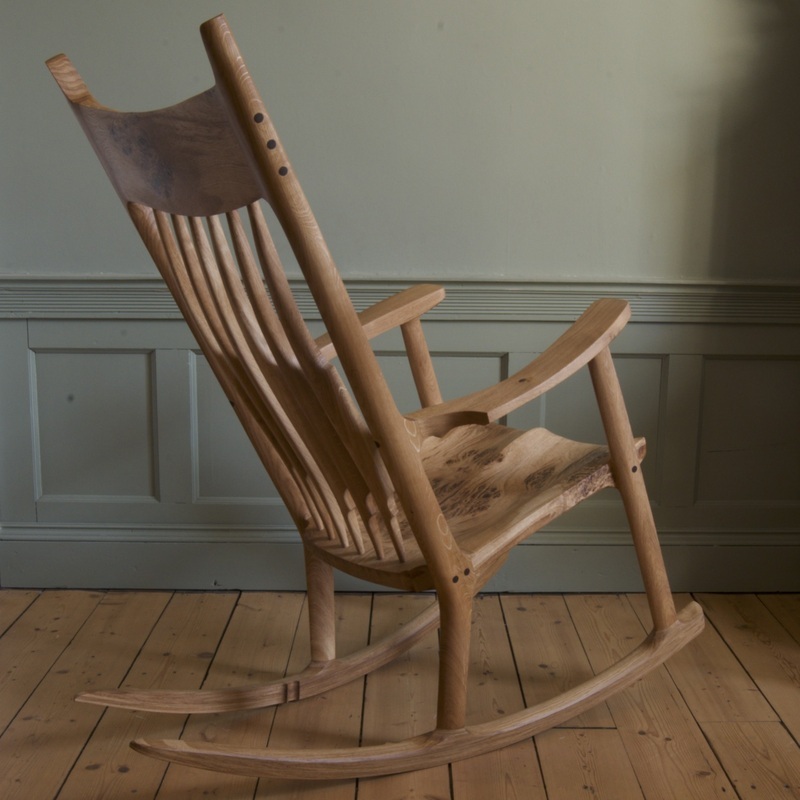 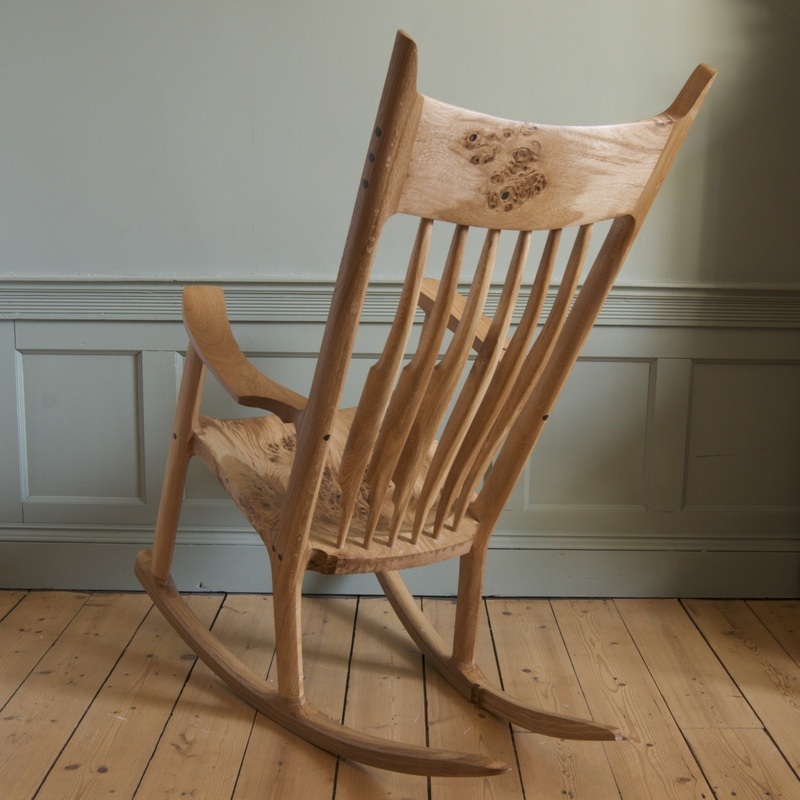 Originally commissioned by Dr Snodgrass who had been searching for a comfortable sculpted rocking chair to his 6' 2" frame. 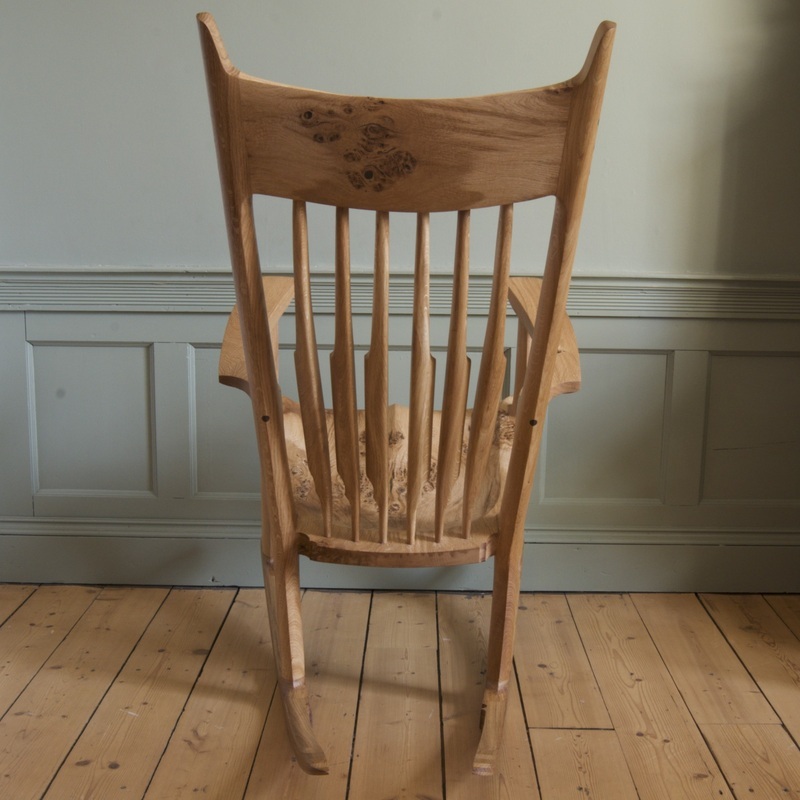 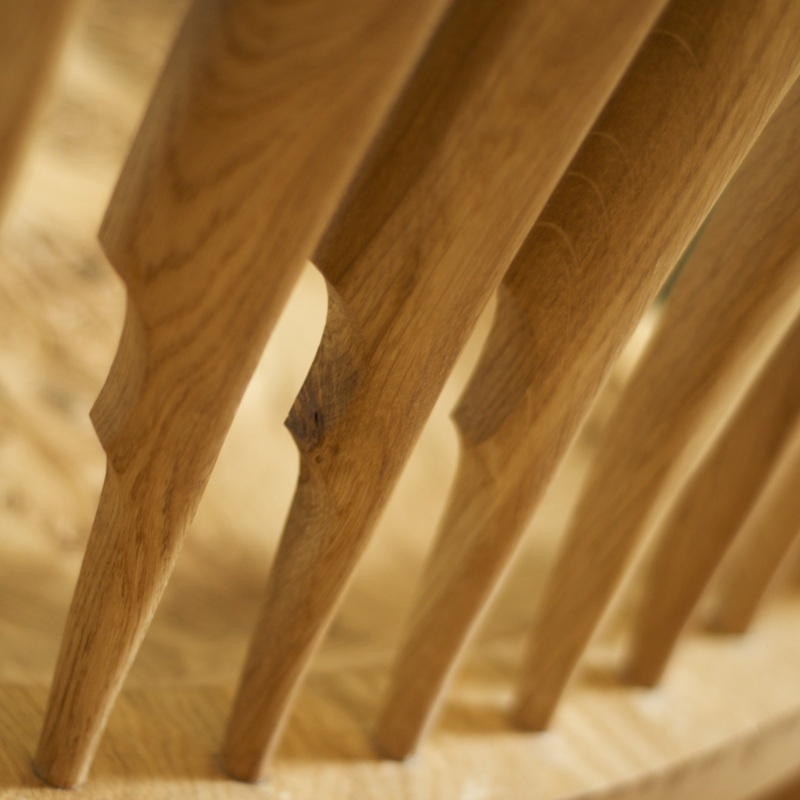 The design draws inspiration from the traditional Sam Maloof chairs and is constructed with a pippy oak seat and crest with straight grained oak for the legs, arms and spindles. 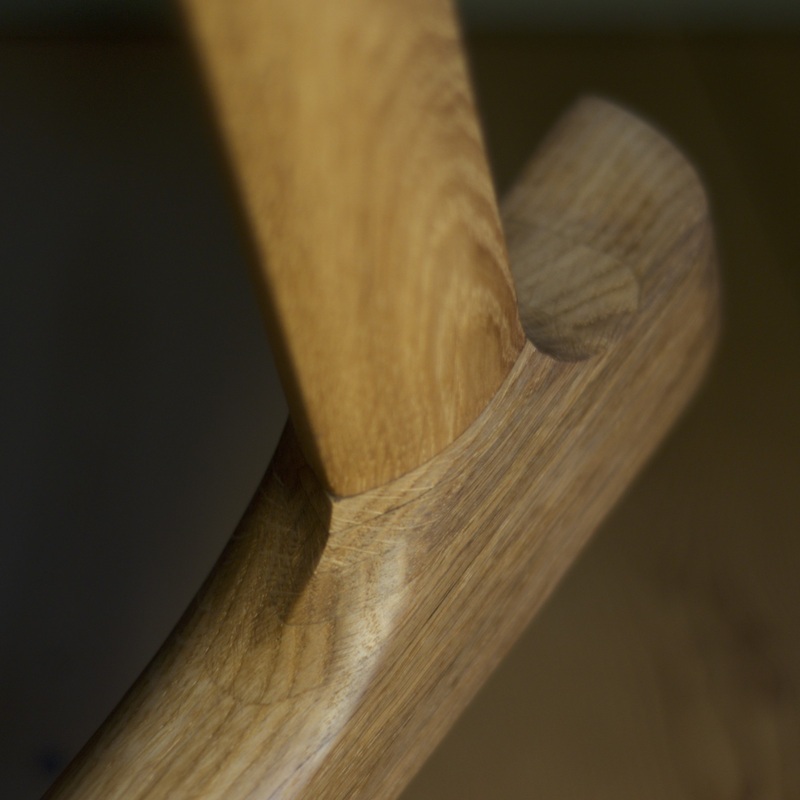 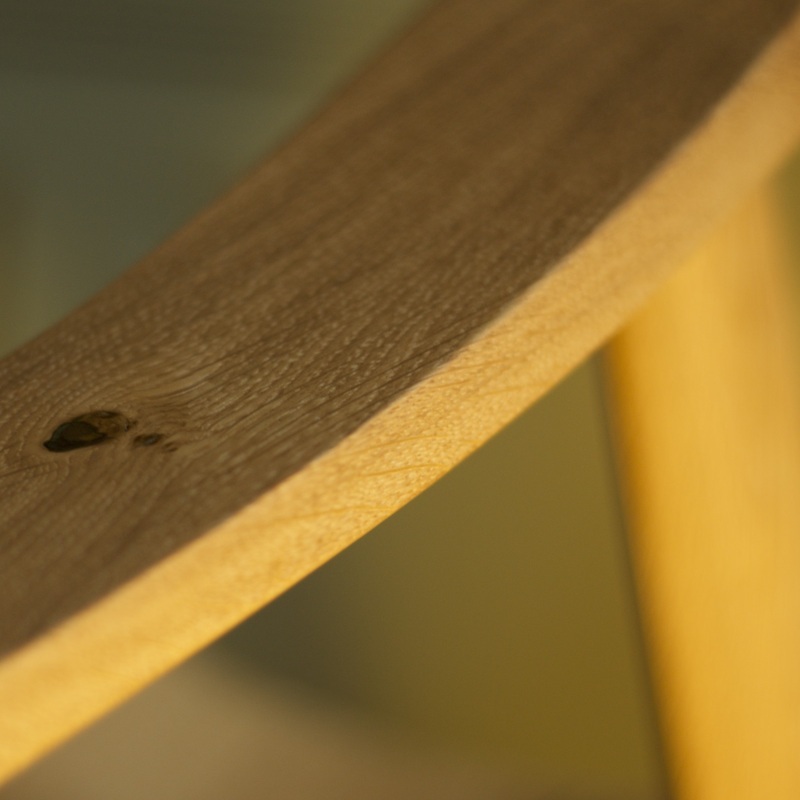 Design elements include a unique leg profile and a double curve form that is repeated throughout the piece. 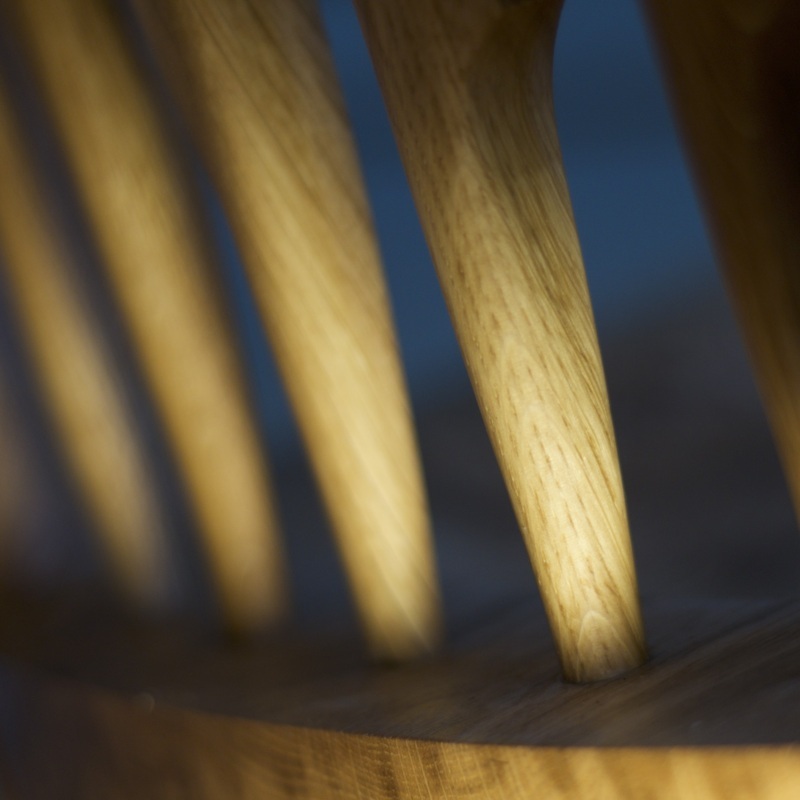 Two full-scale prototypes were built before work started on the client's actual chair. 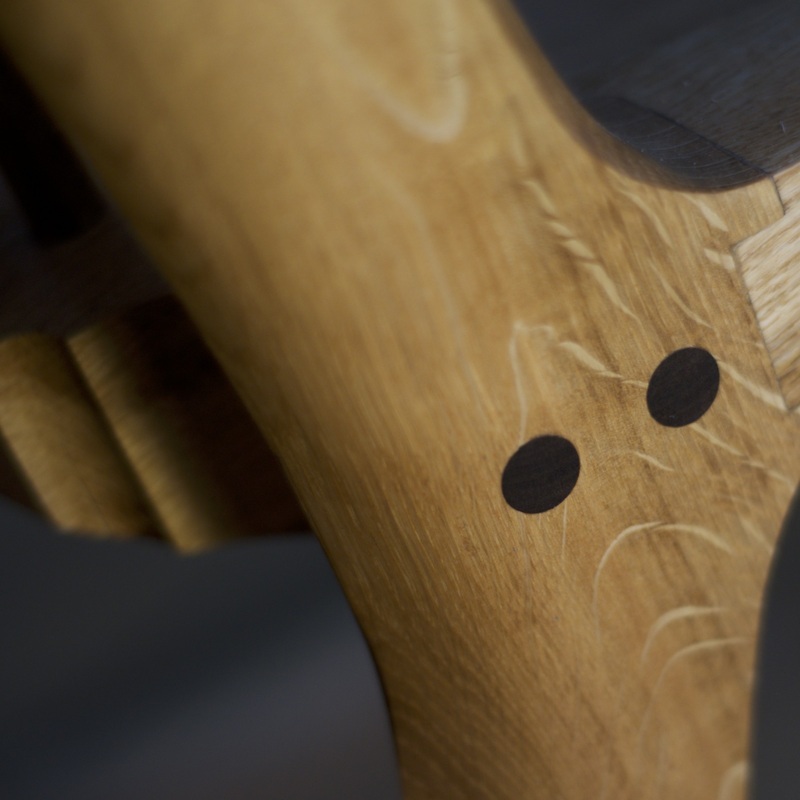 This preparatory process was used to fine tune the design, tailor the dimensions and hone the rocking motion.